Leonard LeRoy Arnold, 81, of Sabetha, Kansas was born on January 4, 1938 in Humboldt, Nebraska to Howard Meston and Mary Maude (Taft) Arnold. He was raised on a farm in Richardson County, Nebraska with his three brothers and a sister. Leonard graduated from Salem High School with the class of 1956. After graduation, he enlisted in the U.S. Air Force and entered into active duty on July 17, 1956. On June 14, 1957, Leonard was united in marriage to Iola “Kay” Church in Omaha, Nebraska. To this union two children, Shannon and Glen, were born. 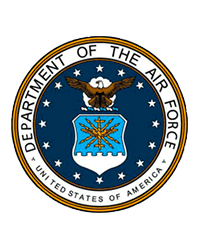 Leonard continued his service in the Air Force for six years until he was honorably discharged on July 13, 1962. 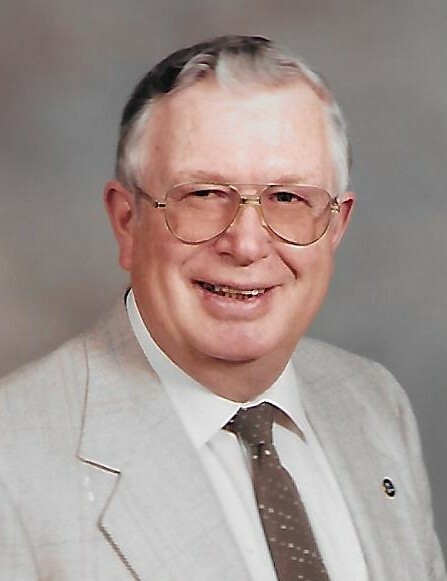 Leonard returned home to farm for a while and then worked for many years as an electronic tech for AT&T and Burlington Northern Railroad until retirement. Leonard passed away quietly and peacefully on January 28, 2019 at the Sabetha Manor in Sabetha, Kansas having reached the earthly age of eighty-one years and twenty-four days. He was preceded in death by his parents; brothers Norman and Lester Arnold, and brothers-in-law Rusty Price, Leonard (Helen) Church, Carl (Wanell) Church and Elton Burgett. Leonard is survived by his loving wife Kay Arnold of Sabetha, KS; daughter Shannon Garrett and husband Doug of Sabetha, KS; son Glen Arnold and wife Toni of Sabetha, KS; 6 grandchildren: Olivia Garrett of Wamego, KS; Brendon Garrett of Sabetha, KS; Meagan Garrett of Sabetha, KS; Reggie Garrett of Sabetha, KS; Samantha Arnold of Sabetha, KS; Emily Arnold of Sabetha, KS; 2 great-grandchildren: Jackson and Eloise Beatty of Wamego, KS; a brother Howard Arnold and wife Katie of Kansas City, MO; a sister Dorothy Price of Greeley, CO; sisters-in-law: Maxine Arnold of Sabetha, KS; Alice Arnold of Pensacola, FL; Helen Fankhauser of Sabetha, KS; Dorothy Burgett of Sabetha, KS; Irene Church of Superior, NE; Mae Ondracek and husband Richard of Hastings, NE; and many other nieces, nephews, relatives and friends. Family will greet friends from 5-7 p.m. on Thursday, January 31, 2019, at the Church of Christ, 310 Oregon Street, in Sabetha, Kansas.